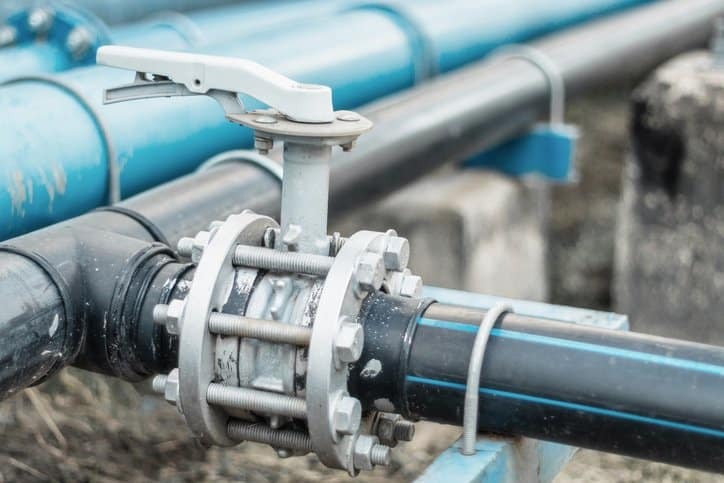 Butterfly valves emerged in the 1930s, and the plentiful advantages they grant for water, air, and large pipe diameter applications have allowed these devices to flutter on into widespread usage today. 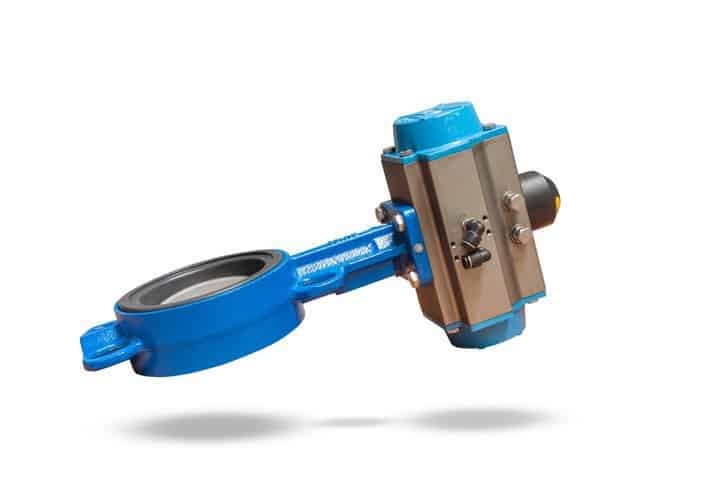 The “butterfly” in a butterfly valve is, of course, not the polymorphic avian insect but a circular disc or plate that serves as the closing device for isolating or regulating the flow of a fluid. This disc-type element is held in place in the center of a valve by a rod or stem, on which the disc pivots in quarter turns to isolate the fluid. Therefore, once a closed butterfly valve has its disc rotated 90 degrees and is aligned with the direction of flow, it is open, and when that disc is rotated back to a position perpendicular to the direction of flow, it is closed. This simple and expedited rotation is comparable to that of a ball valve, and it allows for quick shutoff. Butterfly valves, in addition to this desired characteristic, contain a thin profile between flanges, making them lightweight and often less costly than other valves. Butterfly valves are specified in MSS SP-67-2017: Butterfly Valves. This American National Standard is a document devoted to the dimensions, design, testing, and marking guidelines for this type of valve. While butterfly valves are defined by circular discs that rotate on rods or stems, there are different design variations for this feature. The basic form, in which the stem travels through the center of the disc, is known as a concentric butterfly valve. A double-offset butterfly valve, on the other hand, has two counterbalance contrasts and the concentric butterfly valve, and its principle balance is the pole found somewhat behind the circle. A triple-offset butterfly valve has three-balance contrast, and it is vital in applications with incredibly tight shut-off. Offset valves always keep the disc off the centerline and are also known as eccentric, and design considerations for them and concentric butterfly valves are present in the MSS SP-67-2017 document, as it is the shared standard for butterfly valves and thus confronts a range of specifications for their design. However, further reference should be made to MSS SP-68-2017 for high pressure valves with offset, or eccentric, design. Butterfly valves can also be manufactured with further variance, in that they can be flangeless (wafer-type), single-flanged (lug-type), and flanged-end valves. These vary structurally and serve different purposes. For example, lug butterfly valves can be inspected, repaired, or cleaned without shutting down the entire system. While wafer butterfly valves do not have this advantage, they are designed to hold a tight seal against dual-directional pressure. There is also an erratum to the MSS SP-67 standard. This document lists corrections to the standard for butterfly valves, and interestingly offers these corrections for multiple previous versions of the standard. MSS SP-67-2017 Errata: Butterfly Valves – Errata to MSS SP-67-2017 lists corrections to references in Page 3 of the 2017, 2002a, 2011, and 1983 to 1995 versions of the high-pressure butterfly valves standard. Please note that if you acquire MSS SP-67-2017: Butterfly Valves from the ANSI Webstore, you will also get the errata, as the pdf document contains this list of changes in an early page. However, if your copy of this standard predates November 2017, you can download the errata here: MSS SP-67-2017 Errata: Butterfly Valves – Errata to MSS SP-67-2017.